Immerse yourself in tranquil Malaysia? 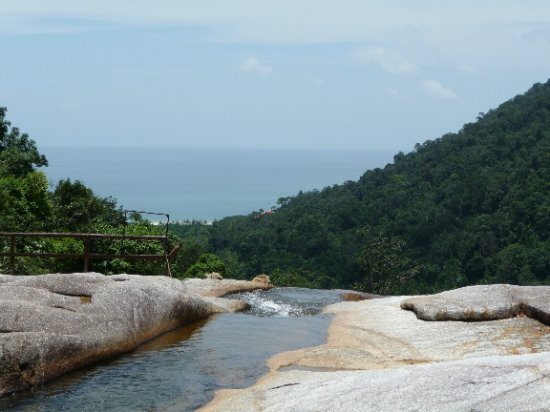 Located in the heart of Langkawi in Mount Mat Cincang, Seven Magical Wells of Malaysia awaits you. Well, legend has it that the bewitching waterfall was once upon a time a favourite haunt for fairies and sprites, in particular seven sprightly fairies each of which had her own favourite pool to bathe and frolic. Sounds interesting? There’s more to the magical powers of these waters. Have been suffering from any illness? Bathe into the sacred waters of the Seven Magical Wells and watch the mystery unfold. For the crystal clear waters here are said to have curative properties. Are an adventure lover? 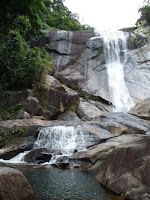 Trek to the top of the waterfalls and enjoy the admiring views along the way. While trekking don’t be surprised if a long tailed macaque or giant cream coloured squirrels cross your path. Already in awe of the place? Now you got to see it to believe it. Who knows you may perhaps be lucky enough to hear the occassional giggles of the fairies.